A chromebook has no Home, End, Ins or Del keys. A chromebook is a good tool for remote management of your servers over ssh. 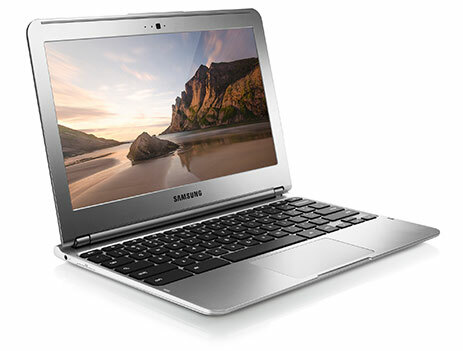 My Samsung Chromebook is very light, boots in about 9 seconds and is 100% quiet. The chromebook has a ssh client out of the box, and together with the Chrome webbrowser you are good to go. Unfortunately you can not do remote X on your chromebook. There is however a RDP client available for your chromebook, see my RDP page. Make sure your ssh client is launched in a seperate windown and not in a browser tab. This way you can use key bindings like <Ctrl>-T .
Only slight problem is that a chromebook has no function keys. However, if you use the secure shell extension and open it in a separate window then you can use the top row keys just as it where function keys . So the button to increase the sound volume emulates F10, the button to decrease the sound volume emulates F9, ETA cetara. Also you can use <Esc>-number as function key. The chromebook also has no Home, End, Ins or Del keys. The insert key is very important when selecting one or more files or directories in your midnight commander panel. This can be done by using <Ctrl>-T. <Ctrl>-T select lines just as the Ins key does.